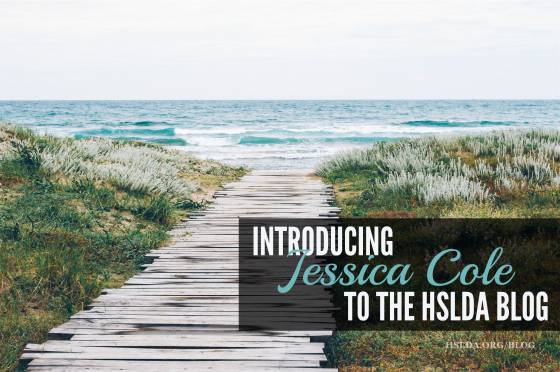 You are here: Home » Just Do It – Introducing Jessica Cole to the Blog! Just Do It – Introducing Jessica Cole to the Blog! My homeschooling story begins much like many stories I’ve heard over the years: with a deep heart-to-heart conversation with the husband. It was late at night… the kids had gone to bed… and I was sitting in the dark next to my husband with tears in my eyes. But this is not one of those stories where the child has been struggling in school, where he or she has been coming home distraught, or where the parents have to make a life-altering decision to pull their child out of public school and teach them at home. No, this is a much simpler story… about how I was just too chicken to get my act together. For us, homeschooling had always been the plan. Growing up as a daughter of one of HSLDA’s founders, I had never seriously considered another option. My husband and I had both been homeschooled through high school. Most of my childhood friends were homeschooled. My married sisters were now homeschooling their children. All of them were doing great. I had seen firsthand that homeschooling works, and I knew without a doubt that it was what I wanted for my children. But as I sat there that night—the night before I planned to officially start school with my three girls—I was also very aware of the fact that this was not going to be as easy as my parents had made it look. “Is something wrong?” asked my husband. “You’ll do fine,” he said. Our marriage had started off as a bit of a whirlwind. We’d had our third child just after our fourth anniversary. My husband had been traveling frequently for his job, and I had struggled to keep up with everything, being so often by myself with three small children. Our third-born also had some health challenges, requiring one major surgery, another minor one, and a whole host of doctor’s visits in her first couple years of life. Things were a little less hectic now that the girls were no longer in the two toddlers and a baby stage, but most days motherhood still felt like a full-time job. More to the point, though, I have always struggled with consistency in certain areas—like housekeeping, scheduling, and organization, which seem to be the strong points of many homeschool moms—and my confidence in myself was lacking. My husband did his best to lift my gloomy spirits, trying to reassure me and to offer advice on how to make it work. But despite his best efforts, I wasn’t feeling much better. Having him go through ideas for the daily schedule was actually making me feel more overwhelmed. Realizing that this wasn’t helping, he cut down to the heart of the matter. Crud. This was, of course, the very last thing I wanted to hear, but the very thing that I needed to hear right then. I knew that this is what I wanted for my children. I had heard all the arguments for and against homeschooling, and I was convinced that this was the best direction for them. And deep down, I knew I could do it. If I had truly doubted my ability to work with my children and give them a good education, I would have started looking into other options. My mission was clear. I just had to, well… DO IT. And wouldn’t you know it? My husband was right. It has turned out to not be as difficult as I felt it would be. As with many things, just working up the courage to make the plunge was nearly half the battle. We are now in our third year of homeschooling, and by God’s grace, the kids are doing great! 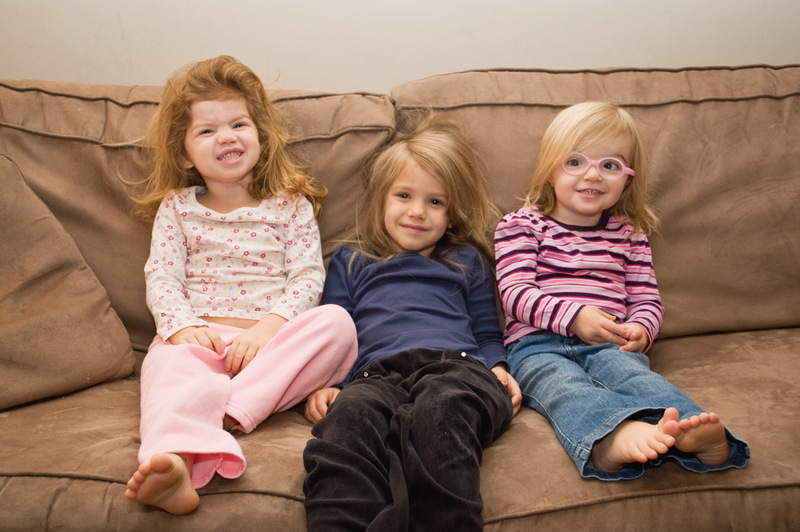 My oldest, Daisy*, is in second grade, Ginger* is in first, and Sweet Pea* is doing some pre-K/kindergarten. (Baby Bear* currently prefers to educate himself in the arts of block tower destruction and finding that one piece of popcorn Mommy missed with the broom.) We don’t keep to a rigid schedule, as I always suspected would be the case. And I do have a certain child who often needs the reminder to “just do it” on her homework instead of procrastinating forever like her mother (ahem). But everyone is getting through their books at a steady pace, and we are getting better about developing a more solid routine. My self-doubt hasn’t exactly gone away (do parents ever completely quit doubting themselves?! ), but I hope to continue to prove my doubts wrong and my God stronger than my fears. When people first learn that I am a homeschooling mom, I often get comments like, “Wow, you are brave. I could never do that!” And I have to chuckle a little. Not because it’s always easy, but because they give me far too much credit. I feel that if I can do it, anyone can. Sometimes all it takes is to stop second-guessing yourself and to just buckle down and do it. *I will be using nicknames for my children in my posts. Photo Credit: First photo graphic design by Charity Klicka; second photo taken by Jessica Cole.